Beggars All: Reformation And Apologetics: What do Rome's Defender Patrick Madrid and Extreme Fundamentalist David J. Stewart Have In Common? What do Rome's Defender Patrick Madrid and Extreme Fundamentalist David J. Stewart Have In Common? Patrick Madrid is a popular Roman Catholic apologist, authoring many books and hosting various Roman Catholic shows. He's engaged in moderated debates in defense of Rome and actively works to bring people back to the Roman church (as his sample press release mentions). David J. Stewart is some sort of extreme fundamentalist, the mastermind behind the website, Jesus is Savior.com. Simply Google his name, and up will appear an entire cyber-world of controversy, from those who praise his efforts, to those who warn of his heresies and immorality. It may seem like lumping these two together is far-fetched, but there is something they both share in common: both spun the same Martin Luther quote. I'll demonstrate that not only did neither document Luther helpfully, meaningfully, or accurately, neither appears to have bothered to look at the context of what they were citing. Both grossly distort the actual intent of Luther's words. In essence, both are engaging in what is commonly known as... propaganda: "the spreading of ideas, information, or rumor for the purpose of helping or injuring an institution, a cause, or a person." Mr. Madrid uses the quote to help his cause in creating converts (or reverts) to Rome by pointing out similarities between Luther and Rome, while Mr. Stewart uses the quote to defile the reputation of Martin Luther, thus leading people away from a Reformation heritage and towards his form of extreme fundamentalism. For Patrick Madrid, this quote demonstrates that Martin Luther, like Roman Catholics, both then and now, believed in honoring and praising Mary "in glowing terms." The quote is placed after Madrid argues for the validity of bowing to, praying to, and singing praises to Mary as a form of honor, not worship. Luther's words show "just how far evangelicalism has drifted it from its own roots." What is the picture that's created from the great Reformer's words? Was Luther waxing poetically about Mary in a polemical treatise? Perhaps he was standing in his pulpit, flowing with eloquent words of great devotion and honor toward Mary: she is the lady above heaven and earth! She is to be pulled in a golden coach pulled by 4,000 horses! Let's raise her above the whole human race and sing to her and praise her as she goes by! According to Mr. Madrid, these were the "roots" or evangelicalism. This was the Marian view taught by the original Protestant Reformer! This is the way Luther taught his hearers to honor and praise Mary, with words of praise of her exalted status! If modern Protestants listened to Luther, they wouldn't be hostile to honoring the greatness of Mary; in fact they would be "authentic" and "organic" Evangelicals! It is wrong to sing, pray, praise, or worship while including any mention of Mary. Why? Because the Word of God doesn't do it. If God NEVER recognized Mary, nor told us to recognize Mary, then why in the name of common sense would people adore and uplift Mary as being something special? She is not! It's time that people got back into the Bible and stopped listening to their lying Lutheran minister. In an ironic way, Mr. Stewart is on the same page as Mr. Madrid. Stewart's "Luther" is also standing in his pulpit, flowing profusely with words of great devotion and honor toward Mary. He's preaching to the first generation of Protestants how to understand who Mary was, to sing her praise, and to honor her very being as the highest person in all creation, the greatest woman to have ever lived. Stewart concludes, "It is a sin to idolize Mary. Martin Luther only came out of the Catholic church superficially, but not in his doctrines. Listen again to the woeful words of Luther:'Here passes the woman who is raised FAR ABOVE all women, indeed above the WHOLE human race.'" Keep your eye on the ball with this one! The lack of documentation by Mr. Stewart and the seeming documentation from Mr. Madrid is a mess of errors based on copying from secondary sources. Untangling this mess, particularly that caused by Mr. Madrid, takes effort to unravel. Let's begin with the easier of the two, the documentation presented by David J. Stewart. Mr. Stewart's page includes a number of cut-and paste Luther quotes that circulated in the late 1990's and early 2000's. For instance, this page from 2001 includes the exact quote and presents other vague quotes in the same format. This type of sparse documentation (particularly about Luther's view of Mary) was often presented by Rome's defenders, then cut-and-pasted ad infinitum. Whenever you come across a Luther quote about Mary documented with simply a sermon title and a date, there's a strong probability the quote was taken from a secondary source, primarily Roman Catholic. Stewart appears to have utilized one of these early Roman Catholic propaganda web-pages. For exact documentation, Mr. Stewart provides only, "Martin Luther preached on the Feast of the Visitation (July 2, 1532)." He could have cut-and-pasted this information from any number of web-pages. The earliest archived version I could locate of Stewart's web-page was from March 2006. Interestingly, this Roman Catholic website from right around the same time includes the quote and says exactly, "Martin Luther preached on the Feast of the Visitation (July 2, 1532) after his break with Rome...". I'll demonstrate below that whoever originally wrote this sentence, that and the Luther quote are based on a 1992 article from This Rock magazine written by someone using the pen name, "Father Mateo." It could've also been Mateo's 1993 book, Refuting the Attack on Mary, pages 67-68, which includes the exact content of the magazine article. Mr. Madrid's reference though is far more complicated. Because he published the quote in a book, he attempted to present a genuine reference. 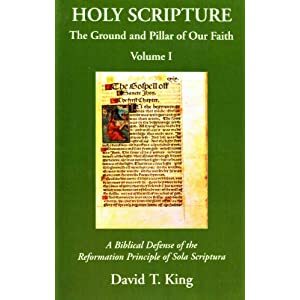 He cites "Luther's Works, 21:327, 36:208,45:107" (that's right, three different volumes of Luther's Works for one quote!). None of these references though are accurate if Mr. Madrid is referring to the American Edition of Luther's writings known as Luther's Works (LW). The first reference (LW 21:327) is actually to a page in which Luther discusses Mary, but there is no part of the quote Madrid is citing found there. The second and third references have nothing at all to do with Mary. The reason for this is that Madrid appears to have haphazardly copied the quote and references also from the 1992 This Rock article (or perhaps the 1993 book). That article first cites LW 21:327 accurately in regard to a Luther quote about Mary being "Queen of Heaven." Then, the author presents the exact quote Madrid uses with the documentation, "Ibid., 36:208, 45:107." These later references though are also completely wrong. "Ibid." means Father Mateo was referring back to LW (which was cited correctly), but these two later references to LW 36 and 45 have nothing to do with Mary or any aspect of the quote they are intended to document. The reason for this mess is that Father Mateo appears to have plagiarized the quote and documentation from Max Thurian's book, Mary, Mother of All Christians, p.79-80. Thurian similarly cites the quote and presents 36:208, 45:107, but indicates he's citing the German Weimar edition of Luther's writings (WA), not LW. Father Mateo blundered by combining two completely different editions of Luther's collected writings (LW and WA). Madrid furthered the confusion by adding the reference LW 21:327 without providing the actual quote Mateo used. Someone picking up Madrid's book and trying to track down these references would be completely lost, as would be someone utilizing Mateo's article. Mateo mentions Thurian throughout his book, but not for this particular Luther quote ¾ which is crucial because the English rendering of the quote and documentation is unique to Thurian. Mateo should have cited Thurian. That he didn't demonstrates Mateo, however inadvertently, plagiarized Thurian. 15 Weimar, 36: 208, 19 to 26. 16 Weimar 45:105, 7 to 106 1. The text being cited is from a sermon, "at the Feast of the Visitation, July 2, 1532" (Luke 1:39-56). The sermon was part of Luther's House Postil. These sermons were delivered by Luther at his house (the old monastery) to his friends and family between 1531 - 1535. These sermons were not written by Luther, but were put together by two men who heard them being preached (Veit Dietrich and Georg Roerer). The version of the sermon being cited is Roerer's, presenting his curious mix of German and Latin. A more refined German text of Roerer's version can be found in Dr. Martin Luthers Sämmtliche schriften 13-2, beginning on page 2732. There is an English translation of Roerer's version of the sermon available in the Complete Sermons of Martin Luther, vol. 7 [Grand Rapids: Baker Books, 2000), 341-356, which will be utilized below. This feast is called also the Feast of Our Ladies. The pope first instituted this festival some time ago against the Turkish threat, in keeping with the lection sung during the Mass, namely, that just as the Virgin Mary went into the hill country and over the mountains, so we are to call upon her to trample down the Turks with the same feet. But the longer people celebrated this feast and called upon the Virgin Mary, the more the Turks trampled on us. Therefore, this cannot be the reason why we would want to observe this feast (p.341). Luther then says that while "the purpose of the pope's celebration is to invoke Mary... our purpose is to praise God, in accordance with the example of the beloved Virgin, so that we celebrate just as she did" (p. 342). What is that example? Luther has in mind the events recorded in Luke 1:39-56 The sermon has two basic points. First, what is the true example Mary provides; that is, what can one learn from her reaction to her visit with Elizabeth? What outward works and Christian behavior does she exhibit? Second, Luther provides a mini-commentary on the Magnificat (Luke 1:46-55), and explores how those verses instruct Christians "to live godly lives, both inwardly and outwardly in this world, with joyfulness, thanksgiving, and faith before God, which is our reasonable service" (p. 342). 4. The first thing deals with outward decency and morals, as laid before us there are excellent, beautiful virtues. The first of these is humility. The young Virgin Mary, although she is highly honored (for she is the mother of God, and Elisabeth ought really be serving her! ), nevertheless heeds God's teaching to honor older people. Although already exalted, she humbly lowers herself and with gladsome heart travels a very great distance, in order to serve her kinswoman during this six weeks. And for her part, Elisabeth, though older than Mary, nonetheless humbles herself before the young virgin stating, "Whence is this to me, that the mother of my Lord should come to me?" 5. The beloved Virgin adorns herself beautifully by not becoming proud of the honor she has of being the mother of God. No one would have been surprised had she succumbed to haughty arrogance and become more puffed up than Lucifer or his allies. For look how we act, bag of worms that we are! Give us a penny or a gulden, and people can't bear with us blown up peacocks! A dairymaid with beautiful hair puffs herself up and becomes vain; so too, a young fellow with a splendid coat. Everybody becomes proud and insolent when they posses something special, be it beauty, skill, money, rank, or whatever; their arrogance knows no limit or bounds. Yet everything is like the dust of the street compared to the great grace which the Virgin has here (pp. 342-343). 8. Ah, how great is the humility of this noble person. It will rebuff our arrogance on Judgment Day to see the beloved Virgin, whose response to us proud wretches will be, I didn't let it go to my head nor did I boast, and yet I have been more privileged than you ever were, proud empress and queen! What, indeed, was the basis for your boast, your arrogance? A gold necklace, a beautiful coat, or a beautiful body, was that your boast? How could that even compare to the fact that I was the mother of God, of whom the angels and all the saints have spoken far and wide as the most blessed among women? Yet I did not become overweening with pride because of this. 9. Therefore, you crazy "holies," you heretics, you factious spirits, you have represented yourselves to be so learned that your belly is about to burst because of your knowledge about to burst because of your knowledge. What do you really know that gives you such airs, to be so cocky and arrogant? Do you want to compete with me to see whether with all your cleverness you can compose even one verse of the Magnificat? I, too, was able to speak about our Lord God, and yet I didn't become arrogant; I disregarded all personal honor, went on foot over the mountains, assisted the aging Elisabeth for six weeks, cooked, washed diapers, and did all manner of housework willingly and with all my heart, just like a maidservant, and received nothing in return. In this manner, humbly, Mary will cut the ground from under all arrogant people. 10. For shame! For such vile arrogance you deserved to be shamed, every one of you, before this maiden's great humility shown here! She is the mother of God and the greatest of women in heaven and on earth. She forgets all else, every good thing, and with truly humble heart sets out on her way, not ashamed to wash diapers, gently care for and bathe the infant John, and so on. Such humility is truly something to behold. It would have been fitting someone provided her with a gold carriage to ride in, drawn by four thousand horses, with trumpets heralding the carriage's coming, proclaiming that the greatest of all women was approaching, princess of the whole human race! But there was nothing like this, only silence. The poor maiden travels by foot a great distance, more than twenty miles, and she herself is with child, the mother of God. It would not at all have been astonishing if all the mountains had leaped and danced for joy. Possibly she did not travel alone, but in company with Joseph and another maiden. But Luke speaks on of her, for the focus is concentrated on her, and she alone it is who evinces such humility. 11. That is the first virtue, great humility. Men and women everywhere ought to form a picture of this in their hearts and be horrified because of their proud and obstinate minds. Nowadays we see and experience how rude, haughty, and insolent people are everywhere in the world, workers and domestic especially. Masters and mistresses must wait on their help, their servants and maids. so arrogant have they become, even though they are but poor, miserable beggars. I shall say nothing about what the lofty squires and ladies are doing, who posses station, power, possessions, knowledge, and other things. They won't always have these things. Eventually thunder and lightening will strike and put an end to their arrogance(p. 343-345). Notice the comparison. Luther is not exhorting his hearers to launch into unrestrained praise of the Virgin Mary. Rather, what Luther wants his hearers to take away is the special privilege given to Mary and her godly reaction of humility. Luther wants his hearers "to learn from and emulate this example of the blessed Virgin..." "to serve willingly and humbly, irrespective of whether one thinks himself more deserving and important than the person whom he serves" (p. 347). In human terms, people want to honor Mary because of her chosen role. In Luther's terms, Mary serves as an example of Christian humility for people to learn from. If people want to honor Mary, they are to do it by following her example of humility. It is an especially beautiful song, and it is sung by the papists, monks, nuns, and priests everywhere, in all churches. However, it is sinful and shameful for them to sing it without proper understanding and reverence. They say the words, and the below like big jackasses, but the organ pipes it much better than they sing it. They treat it lightly with no intent to understand it, but simply plod through it, babbling like geese that clack over oat straw (p. 349). Mary says that her spirit is magnifying something, that is extolling and highly praising something, that she is rejoicing with all her heart, and that, therefore, her heart is completely full of joy and delight. What is it? Whom is she thus magnifying? Herself? No! I, she says, have nothing, nor do I want you to praise me dear Elisabeth. It is the Lord God, whom all the world should extol and praise, whom I am extolling and praising with all my thoughts, acknowledging that everything I have belongs to him, our Lord God (p. 349). She does not want to touch upon the name of our Lord God, that is, she does not want to vaunt herself because of her gifts, ever acknowledging that what she has is God's, not hers. And for this reason her desire is that we all might acknowledge him to be mighty, but ourselves as weak, powerless humans; that his name alone is holy, that is, his name alone should be extolled and glorified, while our name is not holy and therefore, should not be extolled. But look around you in the world. Do you see any who do it? People seek for a great reputation and high esteem with others, especially to be thought highly of for holiness and righteousness. But Mary teaches us to esteem God only as mighty and his name as holy, that is, boast alone of God and his grace and about nothing else (p. 352). The whole Lutheran theology is in this . . . view of Mary as a rather pathetic young girl without intrinsic sanctity or merit.' It makes Mary an example and no longer an exception—an example both of God's initiative (God does nothing but 'break what is whole and make whole what is broken'; as Mary might have said, 'I am but the workshop in which He performs His work; I had nothing to do with the work itself), and of human response in humble trust: humility, modesty, faith and love are not what God rewarded in Mary but what his grace evoked in her. She demands no higher station than she enjoyed before, but 'goes about her useful household duties, milking the cows, cooking the meals, washing pots and kettles, sweeping out the rooms, and performing the work of maidservant or housemother in lowly and despised tasks, as though she cared nothing for such great gifts and graces.' The simplicity and calmness with which Mary accepts her calling stands in marked contrast with the idolatrous honours that have been heaped upon her. In the way Mary responded to the angelic annunciation (Luke 1:26-38), she is our teacher. She 'does not say that people will speak all manner of good of her, praise her virtues, exalt her virginity or her humility, or sing of what she has done', but rather she acknowledges the grace of God toward her (David Wright, Chosen By God: Mary in Evangelical Perspective (London: Marshall Pickering, 1989, 165-166). In the Catholic system humility is not the greatest of the virtues. It does not even rank as one of the four cardinal virtues, though it is annexed to the last of them—temperance—as a "potential part." Humility is, however, said to be the foundation of the spiritual edifice; it is the first virtue, inasmuch as it removes the obstacles to faith and makes a man a fit recipient of grace. Cf. Catholic Encyclopedia., vii, 544 (Works of Martin Luther Vol. III, 144). Mr. Madrid thinks that Luther's comment is an example of "statements of praise for Mary." He believes it's proper to sing praises and bow down to Mary He states, "The fact is, the Bible doesn't merely speak approvingly of man's rendering such legitimate praise to other human beings, it actually provides us with many examples of God himself praising faithful men and women" (p. 125). "The Bible says that bowing, if it's done to show respect and honor to a friend of God, is not just tolerable, but admirable" (p.128). Praising Mary and the saints is just like recognizing the beauty of God "in a majestic mountain or a dazzling sunset" (p.128). "We recognize the great beauty and the graces God has bestowed on these men and women.... and praising them redounds to God's greater honor and glory" (p.128). Is this what Luther had in mind when he uttered the words Mr. Madrid is quoting? Luther does say some nice things about Mary in this sermon, but he wasn't saying them to justify a venerating Marian theology or to instruct his hearers on how to venerate, praise, sing to, or to bow down to Mary. The emphasis is completely different. Luther presents a picture of the person who carried very God within her body as something that should have caused her to have great pride: the Lady above heaven and earth, raised above the whole human race, an empress, a queen. Luther takes what should have happened to her ego in human terms, and uses it as didactic tool to instruct on humility. For Luther, do not invoke, venerate, praise, sing to, or bow down to Mary. If one wants to really"honor" Mary, follow her example... and be humble. True, as Madrid says, some of Luther's Marian statements "are sources of scandal and irritation for today's Evangelical Protestants." Protestants have often swung to the opposite extreme, barely considering the special role of Mary in God's redemptive purpose. If Protestants were to carefully read this sermon (which even Max Thurian appears to have not done), the grandiose things Luther was saying about Mary weren't all that outrageous. They were phrases that would have made perfect sense to his hearers. Remember, Luther's world was soaked in Mariolatry. Certainly Mr. Stewart didn't read this sermon carefully, if at all. We can put Mr. Stewart in Madrid's ballpark of "sources of scandal and irritation" in regard to Luther's statements about Mary. While I don't consider Mr. Stewart evangelical or protestant, he certainly had a typical knee-jerk reaction to Luther's words. Stewart accuses Luther of idolizing Mary, and actually only "superficially" leaving Rome, all because Luther said some nice things about Mary in order to make a point about humility. Had Stewart bothered to read the sermon, perhaps he would have gotten the actual point Luther was making... perhaps. Mr. Swan, I think you could make a fine living as a private investigator, if you were so inclined. I don't know how you manage to track down the things you track down, but I would absolutely lack the patience and eye for detail to break these kinds of things down the way you do. Thank your the kind words, and thanks for reading this entry...if you made it all the way through... It's a bit top heavy! I won't claim to have retained it all, sir. But I did read it. It is nice to see you back at it again. You were mostly away for a while, weren't you? Thank God for your continue diligent research. If you only had some letters after your name Wikipedia might allow you to be referenced as a scholarly resource (I was forbidden once from referencing Robert A. J. Gagnon as such on the issue of the Bible and homosexuality due to Pittsburgh Theological Seminary being biased). But you have made it into some pages as a reference. On another issue, ever read this? Thank you gentlemen for the kind words. This past year I've tried to do one entry per week. I actually already have entries scheduled up till the almost the end of the year. A lot of these posts sit in draft for a long time before posting. My schedule is such that I don't have the time to interact with all the comments, etc., but I'm very grateful to those who stop by. I've heard of neither of those links.